Steve received a Bachelor of Science degree in Computer Science from Lock Haven University in 1982. In addition, Steve earned Microsoft Certified Systems Engineer (MCSE) and Production and Inventory Management certifications from Penn State University. He is committed to lifelong learning in business and technology, and has taken courses from the American Production and Inventory Control Society (APICS), Microsoft, Dell, Cisco, and others. 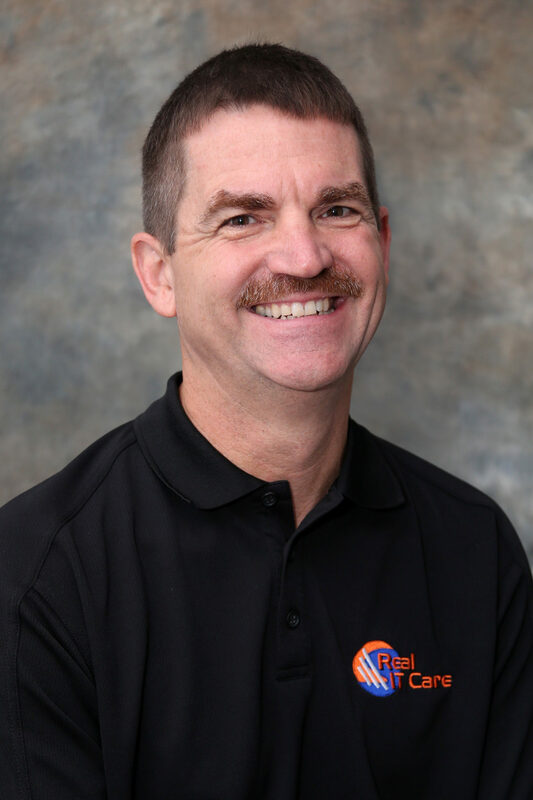 Steve started his career as a programmer/analyst working for a tier-1 automotive supplier, designing, writing, and maintaining the company’s MRP software solution. From there, he moved to a heavy-steel manufacturer and served as its IT manager, still deeply involved with MRP design and implementation. In 1995, Steve joined a team that delivered IT solutions to SMB manufacturers in central Pennsylvania. Steve co-founded Real IT Care in 2009 and currently serves as president. Steve prides himself on an ethical, honest, straightforward, no-nonsense approach to both work and life. As an avid mountain biker and outdoor adventure enthusiast, Steve approaches his hobbies with great energy, enthusiasm, and dedication. He experiences the same joy and excitement by advancing knowledge in the technology field and turning people on to the right solutions. Whether planning and training to summit Mt. Rainier, biking a gnarly single-track, skiing the steeps, navigating a whitewater challenge, or designing and building a network solution, he welcomes and thrives upon each challenge.